•Miracoil® reactive springs give tailored comfort and support whatever your shape and size. 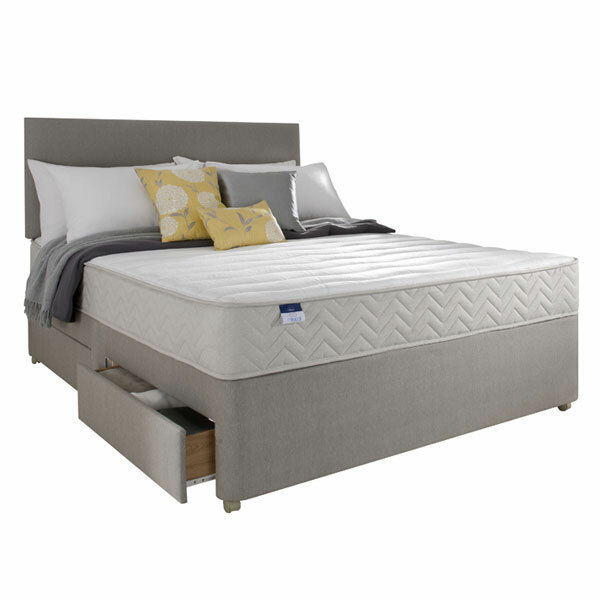 •Head to toe springs distribute body weight, ensuring partner movement doesn't disturb your sleep. 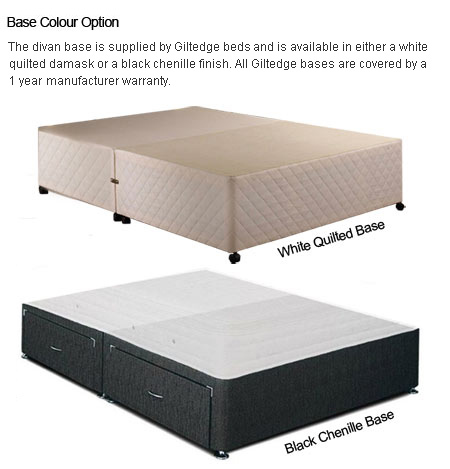 •Edge to edge springs for maximum sleep space. •Deep layer of body-moulding memory foam for pressure relief and comfort. •Comfortable and breathable Silentnight EcoComfort Fibre® - scientifically proven to keep you cooler. •Soft knitted fabric with a microquilted finish for added comfort. •Easy care mattress- no need to turn over, simply rotate. •Divan base upholstered in one of two fabric colours. •Drop front drawers with beech effect drawer linings.